Kyle Sandilands is coming back to TV! 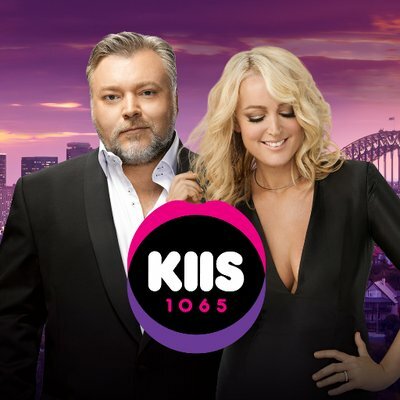 The radio host on the 'Kyle and Jackie O' show on KIIS FM, broadcast nationally in Australia, revealed on the show he co-hosts with Jackie O that he will be back on small screen. Kyle has signed the deal with Network Ten to air one episode of a new show, 'Trial by Kyle'. The show will be similar to 'Judge Judy', where people come to him to resolve issues. See the video of his news HERE. "Celebrities going up against photographers, we've already got one of those locked in," Kyle revealed. He didn't confirm who the celebrity in question was but people have been speculating for some time that star of MAFS Nasser would make an appearance with a case against celebrity photographer Jayden Seyfarth. "Let's throw it open to the listeners as well, if you've got an issue with someone, mother, brother, sister, neighbour, boss, whatever, and you think 'hey, I've been badly done by. I should be compensated'," Kyle said on the show. "We're after just normal disputes as well...contact us, ring us, 13 1065, we'll put you down. You might get on the TV show." But... what we REALLY wanna see is Kyle and his girlfriend Imogen on a reality TV show. BRING IT. Gold Logie Winner 2018 HERE!